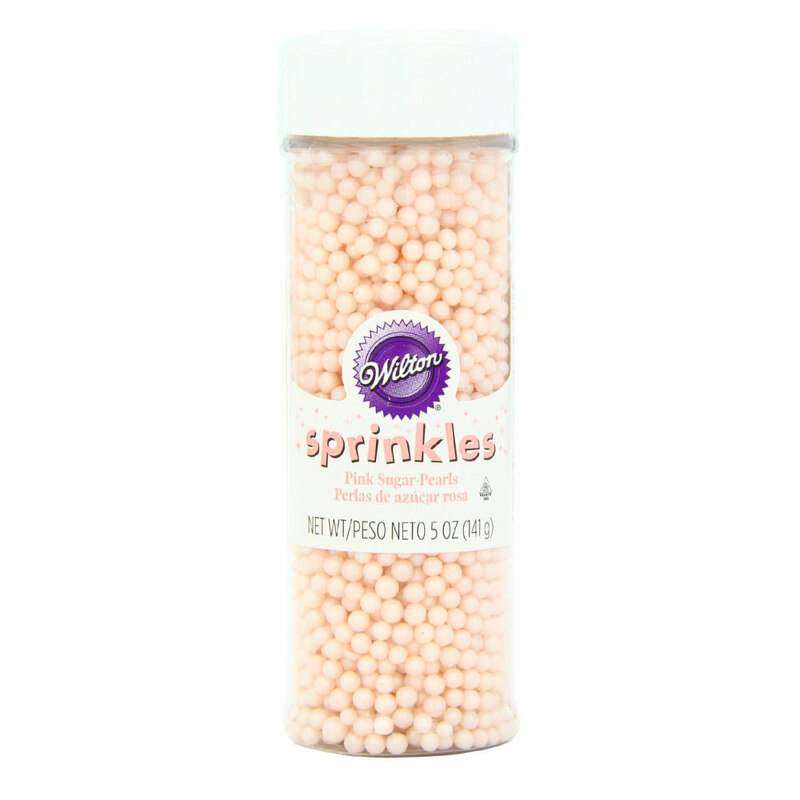 Looking for a cute spring dessert? 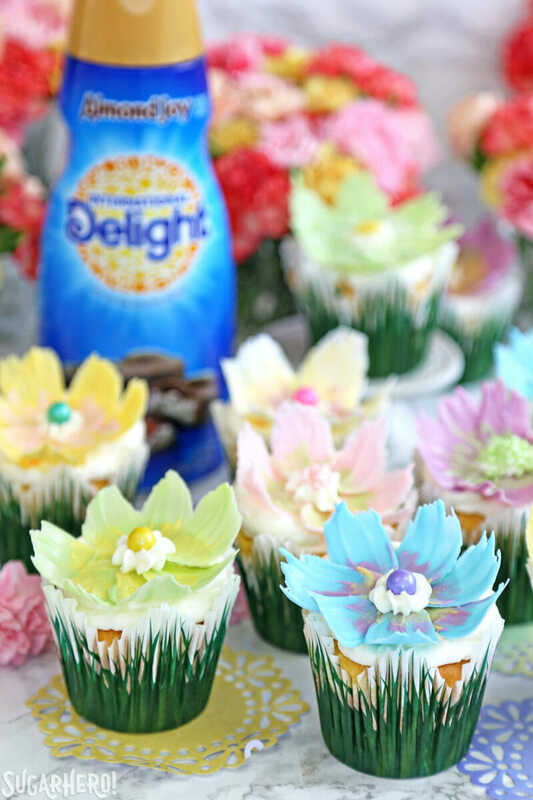 These Easy Chocolate Flower Cupcakes are simple, fun, and perfect for birthdays and showers! 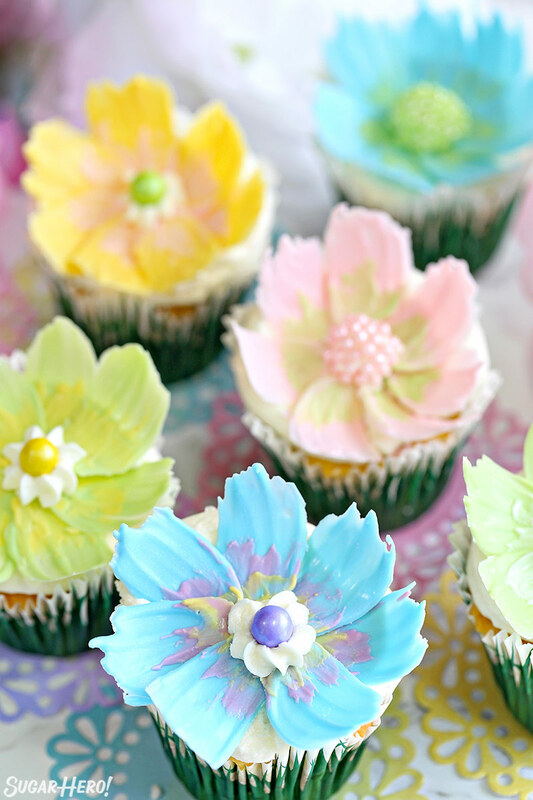 They feature a delicious lemon cupcake, fluffy coconut frosting, and simple, beautiful chocolate flowers on top. Thank you to International Delight for sponsoring this post. 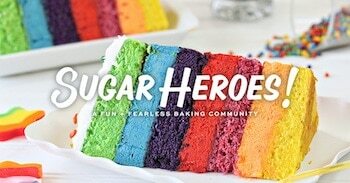 This year, I’m pleased to partner with them to bring you a series of delicious dessert recipes. I love the chocolate flower trend I’ve been seeing spring up all over the place. (Chocolate flowers…spring up…get it? GET IT?) I mean, fondant flowers are fun. 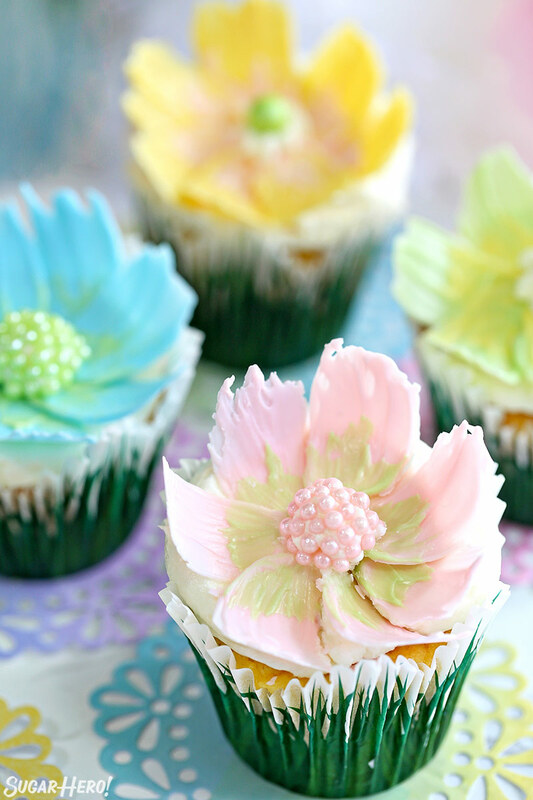 Buttercream flowers are classic. But chocolate flowers feel like a newer, fresher spin on floral desserts, and I am here for it! If you want to see how easy these cupcakes are to make, check out this short tutorial video! And if you’re the type who likes to see everything in real time, there’s a Live video linked below (right above the recipe) where you can watch me demo these start to finish! Chocolate flowers can be as simple or as complicated as you want them to be. I think I first saw them on The Cake Blog (of course! 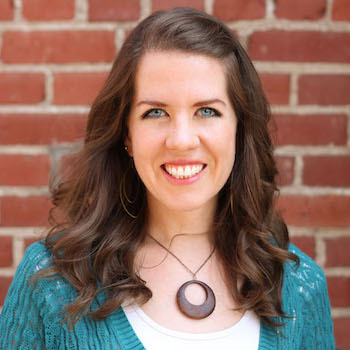 ), designed by Erin Gardner. Since then, I’ve seen some versions, made by master chocolatiers, that are stunning, each petal glossy and precisely measured to within a millimeter of its life. I’ve seen other versions that are much more organic, consisting of a few painted leaves and maybe a squirt of frosting in the center. Neither approach is wrong, but for this project, I wanted the cupcakes to be easy, approachable, and most of all FUN, so we’re keeping things basic and making our flowers charmingly simple and carefree! Before we get to the flowers, let’s run through the cupcake components. Since “easy” is the watchword of the day, the cupcakes are a gussied-up box mix. I used lemon cake and made a few tweaks to make the cupcakes more substantial–adding more eggs, melted butter, and a package of pudding mix gives the cupcakes a texture more similar to that of homemade cake. You can, of course, substitute your favorite cupcake recipe instead! I also used what might be my very favorite flavor of International Delight coffee creamer, Almond Joy. (Don’t tell Peppermint Mocha I said that, okay?) Although it has notes of almonds and chocolate, the predominant taste is one of coconut, and I LOVE using this one in basic buttercream frosting to liven it up and give it a light, spring-time taste. It gives the frosting a wonderful fluffy texture, and the coconut flavor is present but not overwhelming. I like it paired with the lemon cake, but it would also be great with almond cake or regular vanilla. The flowers are SO easy! You’ll need melted candy coating, a clean paintbrush, and something concave to shape the petals as they dry. I had a rolling pin holder that was the right size, but you could even cut a cardboard tube in half and just use that! You can also let them dry straight, but I like the shape a little better when the petals curl inward. All you need to do is brush the melted candy coating in petal shapes onto some parchment, and there is ZERO artistic skill involved. In my opinion, the petals look better when they’re more organic (which is just my euphemistic term for mis-matched)–so don’t worry about getting them perfect. If they show brush strokes or have ragged edges, all the better, because they’ll look more natural. Do try to make them approximately the same size, but that’s all you need to worry about. After they’ve dried in a slightly curled shape, you can brush a contrasting color around the bottom edge, if you want. You can also do a smaller, second layer of petals to go inside the first, but I found that I preferred to keep things simple and less cluttered. Finally, after the petals are arranged around the outside of the cupcakes, finish them off with a bit of frosting and a pretty candy or sugar pearl in the center! 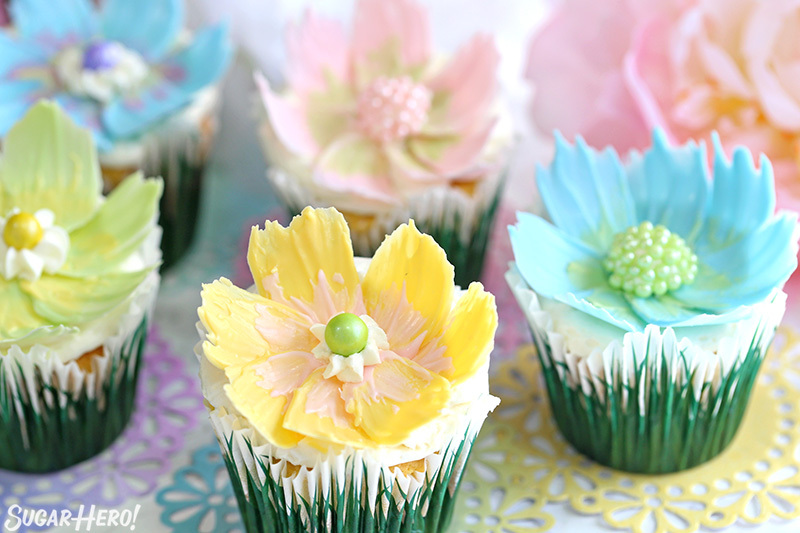 You can make a whole bouquet or garden of edible chocolate flowers on lemon/coconut cupcakes. 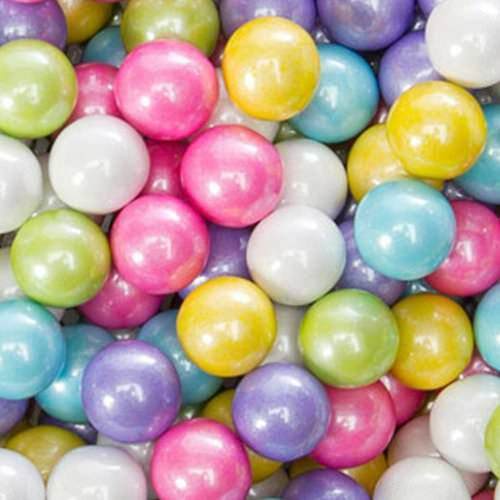 Just imagine how lovely a group of these would look at a birthday party, baby shower, or any spring or summer event. Enjoy! How to Make Chocolate Flower Cupcakes – Live from Facebook! 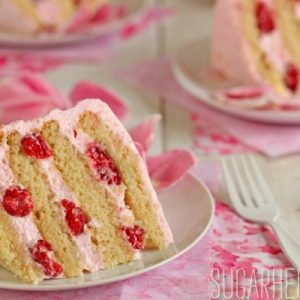 Looking for a cute spring dessert? 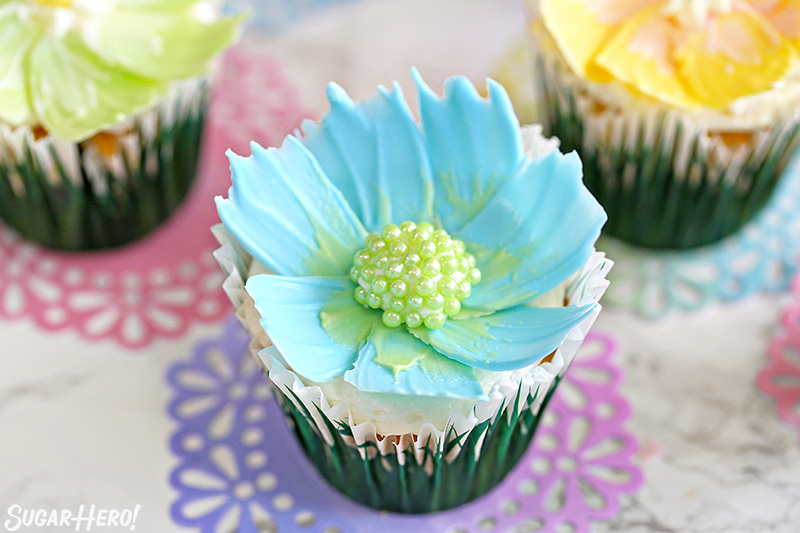 These Easy Chocolate Flower Cupcakes are simple, fun, and perfect for birthdays and showers! 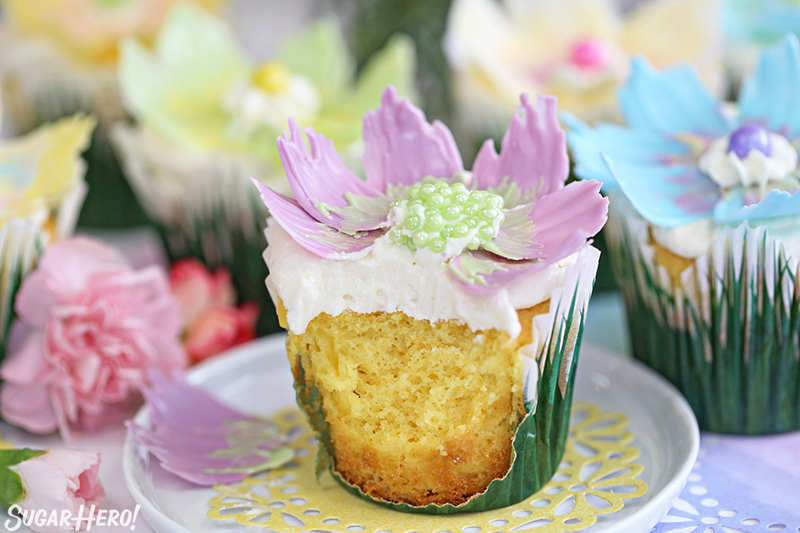 They feature a delicious lemon cupcake, fluffy coconut frosting, and easy but beautiful edible chocolate flowers on top. If you can’t find International Delight Almond Joy coffee creamer, you can substitute another flavor of creamer, or an equal amount of milk. If you use milk, make sure to add a flavoring extract of your choice to make up for losing the coconut flavor of the creamer. 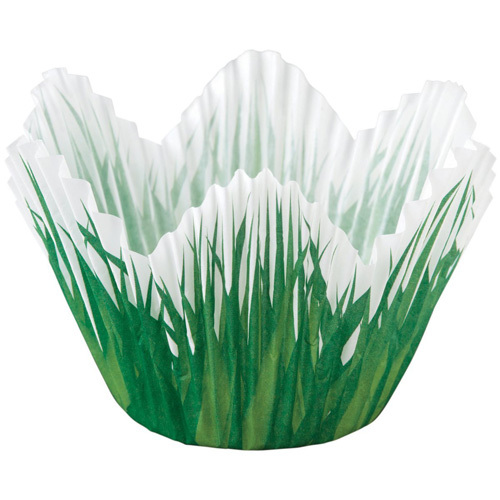 The cupcake wrappers I used were a “tulip” shape and held slightly more batter than regular wrappers. If you use standard wrappers, you’ll get closer to 24 cupcakes from this recipe. Line 20 cupcake cavities with paper liners. Preheat the oven to 350 F.
Combine all the ingredients for the cupcakes and mix on medium speed for 2 minutes, then scrape down the bottom and sides of the bowl well. Divide the batter between the cupcake cavities, filling them about 2/3 full. Bake the cupcakes for 18-20 minutes, until golden around the edges and the tops spring back when lightly pressed. Cool completely before decorating. Beat the butter with an electric mixer on medium speed for 1-2 minutes, until creamy and light in color. Add the powdered sugar, 6 TBSP of creamer, and salt, and mix well for 1-2 minutes, until light and fluffy. If the frosting is too stiff for your liking, slowly stream in the remaining 2 TBSP creamer, a bit at a time, until you get a texture you like. Cut strips of parchment or waxed paper, approximately 2 inches high and 10-12 inches long. You’ll need 1 strip for each cupcake. You will also need something slightly concave to place the petals in while they dry. I used a rolling pin holder, but you can use a cardboard tube cut in half, baguette pans, a fondant flower former, or anything with a similar round shape. Finally, you will need a clean food-safe paintbrush. 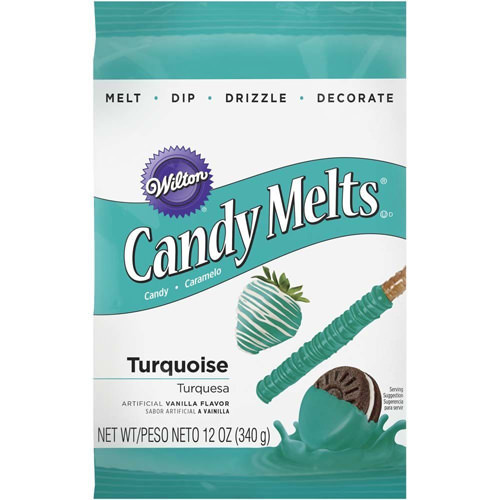 Melt each of the candy coatings in a separate bowl in the microwave. Stir until melted and smooth. Dip the paintbrush in the coating and brush a petal shape onto a strip of parchment, about 1.5 inches long and less than 1 inch wide. (Thinner is better, the petals will look more natural that way.) Try to have the bottom taper and the top fan out a bit. Go over the petal a second time if the layer of coating seems thin. Repeat this process until you’ve made about 9 petals. 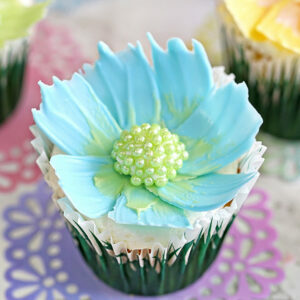 I used 7-8 petals per cupcake, but always like to have an extra in case of breakage. Place the parchment strip in your concave petal former and let them dry. Once dry, brush a second contrasting color onto the base of the petals. 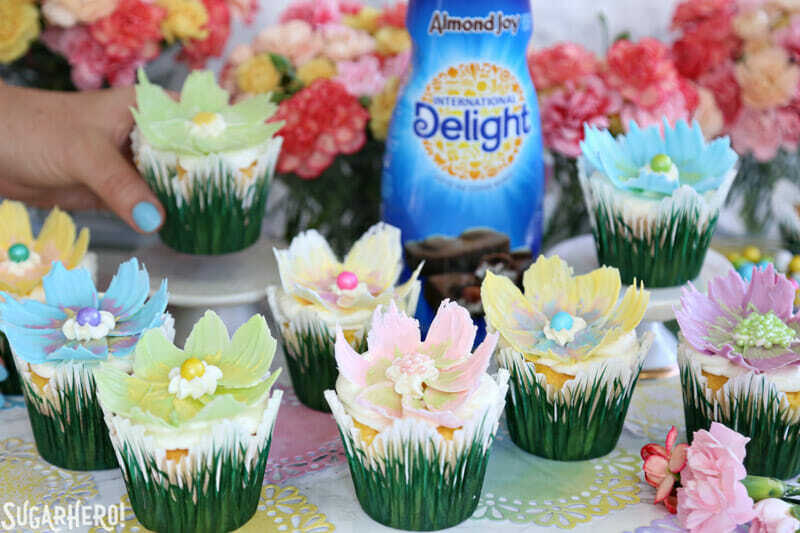 Repeat until you’ve made enough petals for all of your cupcakes. Place the frosting in a piping bag fitted with a coupler. 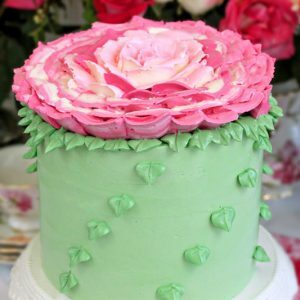 Pipe a single swirl onto each cupcake, then pipe a horseshoe shape around one edge—this will form a ledge and help your flowers angle slightly to the side, instead of just straight up. 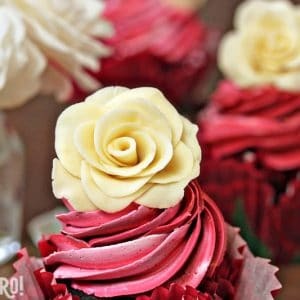 Place the petals around the edge of the cupcake, overlapping them slightly and leaving a little blank space in the middle. Add a small star tip onto the piping bag, and pipe a star of frosting in the center of each cupcake. 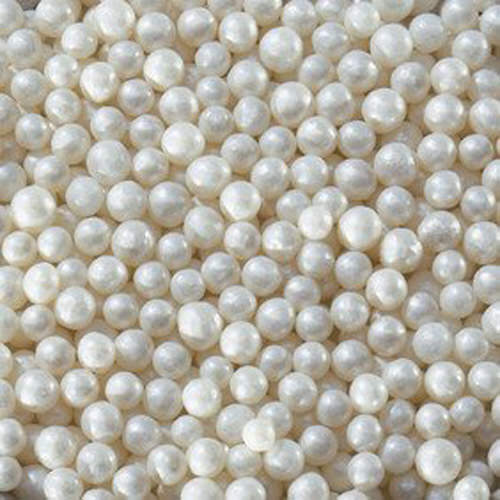 Place a Sixlet or sugar pearls onto the frosting. These cupcakes are best served within 1-2 days of assembly. Enjoy! 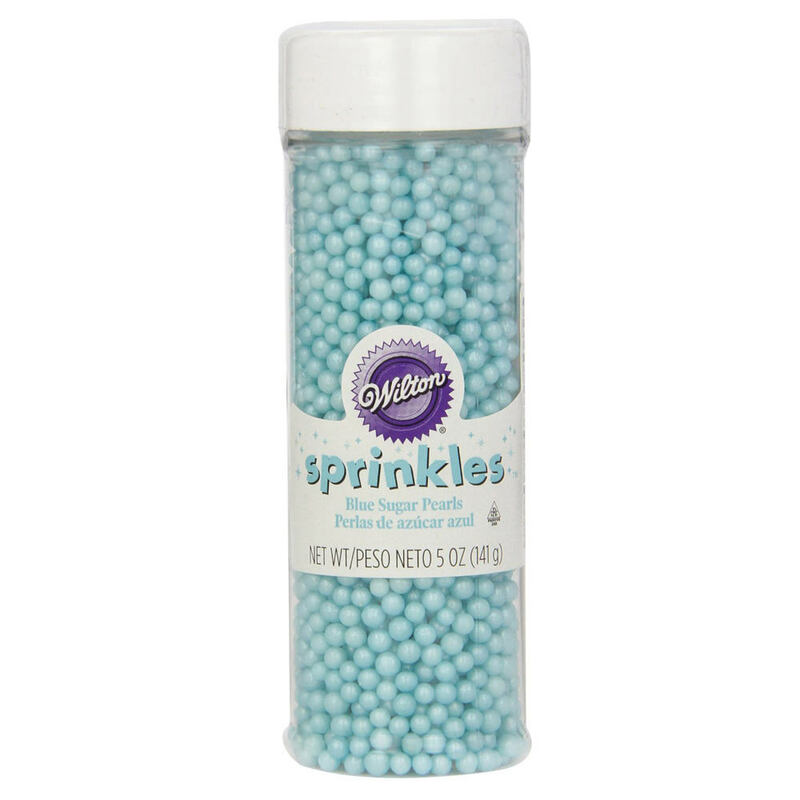 is Candy Coating, coloured chocolate? 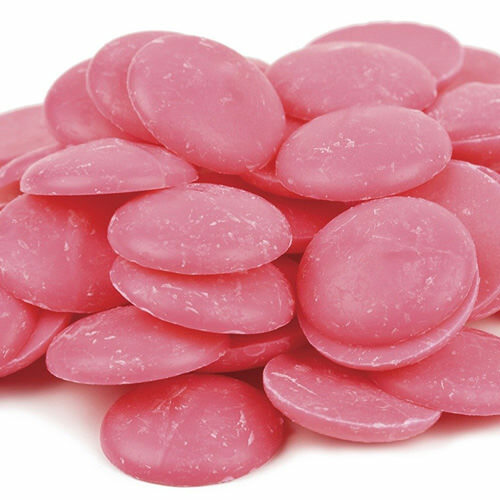 Can I colour white chocolate for these flowers? I can’t find the video. Am I just missing it? Wow these are gorgeous and super cute. Great idea! 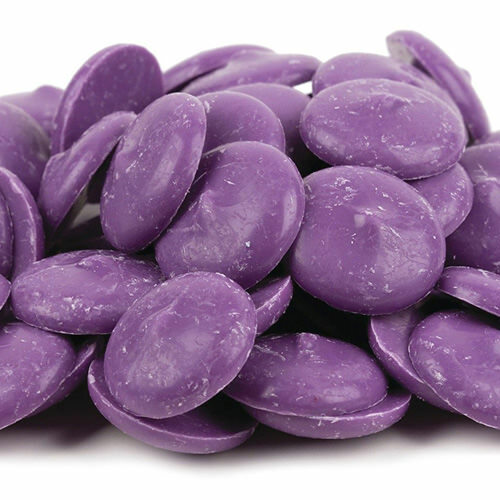 Wow – it’s hard to believe these are made from chocolate. Truly stunning! I love the video – super cute and beautiful! And these cupcakes, adorable! These are sooo pretty, you’re so talented! You are amazing! Thanks for posting! I’m in Australia and wondering what the lemon pudding mix is ? Is it an instant powder you add milk to ? Or the dry ingredient packet in a self saucing pudding? I would love to try and make them ! Yes! Thanks for the question–I’ve changed the recipe to clarify.